Pebble Brook at Willow Bend (“Pebble Brook”) is a friendly, diverse, and upscale neighborhood located on the prestigious west side of Plano, Texas. The 104 homes in the subdivision are bounded by the Gleneagles Golf Course on the north and west, tree-lined Nassau Blvd. on the south, and Willow Bend Dr. on the east. A suburb of Dallas and the larger Dallas/Fort Worth metroplex, Plano has been named as one of the “Best Places To Live” in the United States by Money Magazine and has been designated as "America's Safest City" by Forbes Magazine in both 2010 and 2011. Most recently, Plano topped the WalletHub list of 2014 Best Cities for Families. They compared 150 of the largest cities in the United States based on 31 factors, and Plano came out #1 on the list. Pebble Brook is located in close proximity to two major highways serving the DFW Metroplex-- the Dallas North Tollway and the President George Bush Turnpike. This location provides convenient access to all areas of the DFW area. One need not venture far to find virtually anything needed or desired in the way of schools, shopping, health facilities, major employers, places of worship, recreation, restaurants, and entertainment. Most importantly, our neighbors are welcoming and friendly! Neighborhood Activities: The Pebble Brook Social Calendar brings neighbors together by providing fun events and learning opportunities for all ages. An active social calendar of events is available throughout the year with highlights being the annual Halloween Block Party and the annual Holiday Party. You may also join neighbors for a Mystery Lunch, an evening of Ladies Night Out (LNO), or an interesting book discussion at Book Club. Food lovers enjoy friendly conversation and fine food at our Supper Club get-togethers. Many of the ladies enjoy Morning Coffees with an occasional guest speaker and of course, the annual Holiday Cookie Exchange. Our Social Committee works diligently to bring our neighbors closer together. Numerous private and parochial school options are also available to area residents. Shopping: The DFW area is known for its incredible shopping opportunities, and Pebble Brook residents are uniquely situated in close proximity to many upscale shopping areas. Less than 2 miles away, the Shops at Willow Bend Mall offers a wonderful shopping experience with a number of department, speciality, and upscale shops. Just to the north, the Legacy Town Center features quaint retail establishments, a full-service hotel, restaurants, offices, and open spaces in a community setting, not to mention the Angelika Film Center. A few more miles to the north in Frisco, Texas, the enormous Stonebriar Centre Mall beckons with acres of shopping, hotel, and restaurant options. A few minutes south, the Galleria Dallas mall offers similar amenities. Grocery shoppers need not be concerned since Pebble Brook residents can choose from a wide selection of upscale stores such as Central Market, Whole Foods, Trader Joe's, and Market Street, in addition to favorite standbys such as Tom Thumb, Kroger, and Sprouts. Many specialty and ethnic food stores are also available such as Asia World Market, IndoPak Supermarket, Hirsch’s Specialty Meats, and Fiesta Mart. Recreation and Entertainment: Recreational opportunities abound for Pebble Brook residents. While you will often see early morning walkers and joggers in the neighborhood, the Tom Muehlenbeck Center is just a stone's throw from our neighborhood. This state of the art facility offers an abundance of recreational options for the entire family. An indoor track, indoor and outdoor pools, indoor basketball courts, a fitness center, and much more are available at this wonderful facility. Nature lovers enjoy the nearby Arbor Hills Nature Preserve, a 200-acre park featuring vast areas of natural beauty for walking, jogging, hiking, cycling, and other outdoor activities. The National Recreation and Parks Association (NRPA) announced that the City of Plano Parks and Recreation Department has been chosen as one of 4 national finalists in their annual Gold Medal Award for Excellence in Park and Recreation Management for populations more than 250,000. This is the most prestigious award a parks and recreation agency can receive. The DFW area also has much to offer in the area of entertainment. Literally thousands of superb restuarants are spread across the Metroplex, and Plano alone offers over 400 choices for dining out. Sports enthusiasts can be thrilled with the 2011 NBA Champion Dallas Mavericks, the 2011 American League Champion Texas Rangers, the NHL Dallas Stars, and "America's Team", the Dallas Cowboys. 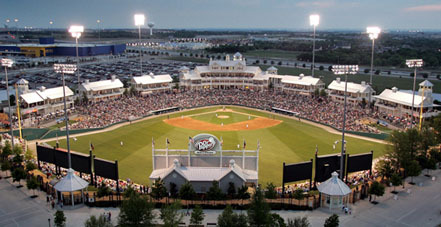 Just a few miles from Pebble Brook, fans will find gems such as FC Dallas Stadium, home of MLS professional soccer's FC Dallas, the beautiful and family- friendly Dr. Pepper Ballpark in Frisco, home of the Texas League AA baseball Frisco Roughriders, and Cowboys' Alley, the future home of the Dallas Cowboys Headquarters and practice facilities in Frisco.. The DFW area has become an arts and cultural center with the development of the Dallas Arts District and the AT&T Performing Arts Center which offers world class opera, plays, ballet, Broadway shows, and other performances in its state of the art facilities. The nearby Dallas Museum of Art and Nasher Sculpture Center offer art lovers all they can handle, and the Dallas Symphony Orchestra performs regularly at the Meyerson Symphony Center in the Arts District. Pebble Brook residents have the option of foregoing a downtown trip by enjoying Plano's own, highly acclaimed Plano Symphony Orchestra. Popular country, rock, and other music concerts are held throughout the year at numerous venues in the surrounding area. Businesses and Major Employers: With a population of over 6 million, the Metroplex is one of the fastest growing areas of the country. The DFW area is home to a large number of Fortune 500 companies. Plano is home to numerous businesses, and many more are located in nearby areas such as Addison, Frisco, and Allen. Located just to the north of the Pebble Brook area, the Campus at Legacy is one of America’s finest corporate developments. Legacy contains 2,665 acres and is home to companies such as EDS/HP, JC Penney, Frito-Lay, Cadbury Schweppes, Ericsson, Pepsico, Intuit, Computer Associates and AT&T Wireless. Just 10 minutes north of Pebble Brook lies the future corporate campus of Toyota who is moving their corporte headquarters to Plano. 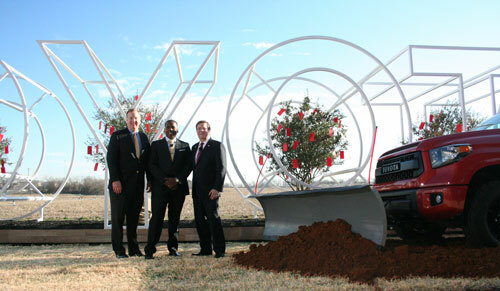 Shown below is the groundbreaking ceremonyfor the new campus which occured on January 20, 2015. Pebble Brook Pride: Pebble Brook residents are justifiably proud of our neighborhood. If you are interested in more information about Pebble Brook at Willow Bend, please contact us.